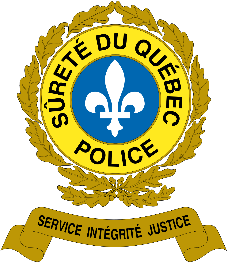 The police in force that serves our territory is the Sureté du Québec (SQ). If you are experiencing an emergency situation, contact 9-1-1 otherwise to make a complaint, call 310-4141. It is a service that is paid through your municipal taxes. Agreements are signed via the RCM to enforce the regulations in effect on the territory of Stanstead Township. Police officers may intervene in a number of cases such as: noisy neighborhoods, work and any other activities that may disturb the peace, noise and noise in pleasure craft and others. For more information, please refer to the Regulations section concerning alarm systems, safety, peace and order, nuisances, as well as the section relating to parking and public road management.